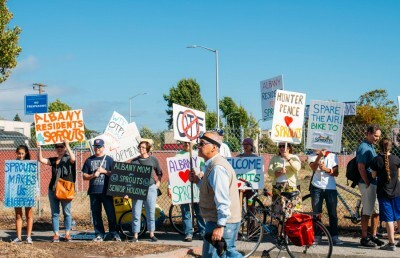 Two protesters from the agricultural advocacy group Occupy the Farm were arrested and cited for trespassing on a plot of land on the Gill Tract — a site of university-owned land in Albany — during a Thursday protest of the university’s plans to develop the land. 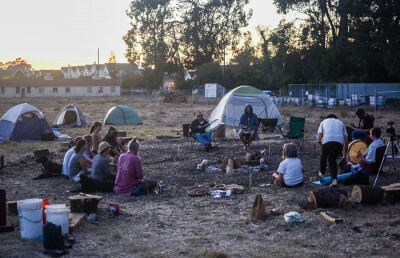 The piece of land has been shrouded in controversy since the university first introduced plans to develop it in 2007 and has been the focus of several protests by Occupy the Farm, whose members say they want the land used to support agricultural research and urban-based sustainable farming. 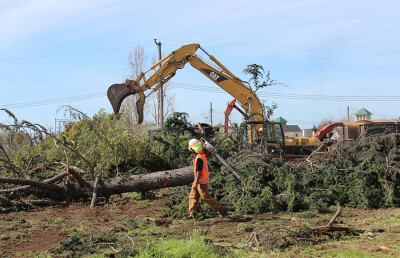 The latest occupation was sparked by the placement of five pieces of heavy machinery on the property for construction Tuesday, according to Jackie Hermes-Fletcher, a member of Occupy the Farm. 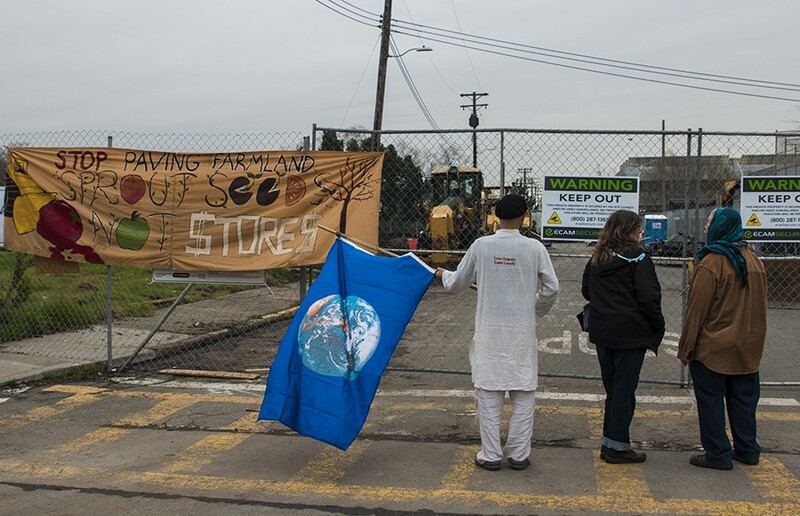 At 3 p.m., protesters used hedge cutters to pull down a portion of a fence around the plot on San Pablo Avenue, eliciting a security response, while two Occupy the Farm organizers — Jean Yaste and Jean Mortensen — entered the property through a gate that was left open and subsequently chained themselves to a grader tractor. About 15 protesters demonstrated outside the property, chanting, “Don’t pave the Gill Tract.” UCPD arrived on the scene about 10 minutes later. 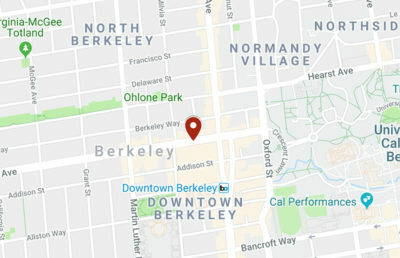 After communicating with UCPD officers, Yaste and Mortensen willingly unlocked themselves from the tractor and, after being cited for trespassing and released, left the Gill Tract about 6 p.m.
Mogulof stressed that the revenue the development could bring in is set to benefit students and the environment by subsidizing low-income housing and funding university-sponsored urban farming, which is being conducted at the UC Gill Tract Community Farm. Occupy the Farm protesters, however, argued that the development is not the best means for the university to earn the profits necessary for planned investments. Gustavo Oliveira, a campus doctoral student in the department of geography and an Occupy the Farm member, noted that an urban farm in Stanford University garners revenue through grants and the organization of school field trips. “The UC is underfunded — there’s no doubt about that — but we shouldn’t have to sell our land and sell our public university to these companies to address that issue,” said ASUC Senator Wes Adrianson, who participated in the protest. But UCPD Capt. Alex Yao, who was present at the protest, said the department would collaborate with various campus entities to address the “sensitivities” regarding the development.